We URGE all of our visitors to visit Koryvantes, The Association of Historical Studies, in Greece, as often as possible, since their research into ancient Greek warfare and weaponry is of the very highest order. Koryvantes discusses Greek warfare and weaponry from all historical eras, right down from the Mycenaean to the Byzantine, accompanied b magnificent illustrations of Greek warriors and weapons. His site is a must see! Koryvantes is a MAJOR contributor and attendee at numerous International Conferences and Meetings all over Europe! “KORYVANTES”, The Association of Historical Studies, is a Cultural Organization, researching and applying experimentally the Military Heritage of the Greeks from the Bronze Age to the late Byzantium. “Koryvantes” has participated in Academic conferences of Experimental Archaeology (University of Warsaw 2011, Academy of Pultusk 2012, University of Belgrade 2012, Organization Exarc / Denmark 2013 ), while our studies have been published in academic literature (British Archaeology Report Series) and Special International Journals (Ancient Warfare Magazine ). “Koryvates” has participated in International Archaeological Festivals (Biskupin / Poland 2011 , Lyon / France , 2012 ) and International Traditional Archery Festivals ( Istanbul 2013 Amasya 2013 , Biga 2013 , Kiev 2013) , presenting high quality shows to thousands of viewers. “Koryvantes” has participated in major international TV Productions (History Channel, BBC2, BBC 4, ITV), on the thematics of warfare and culture of ancient Greece. Since 2008, we have spearheaded research and the practical study of Greek Warfare at an international level, reconstructing and testing weapons, armour and fighting techniques of 3,300 years of Greek History. Text minimally revised by Richard Vallance Janke to reflect Canadian English. and follow them if your are a student, researcher, professor or an aficionado of Mycenaean History and Linear B, Arcado-Cypriot Linear C, ancient Greek Military History, and Homer’s Iliad and Odyssey. I fully expect that KORYVANTES will be profoundly interested in my translation of the entire Catalogue of Ships, which I expect to finish by spring 2015. KORYVANTES IS WITHOUT QUESTION THE MOST IMPORTANT PARTNER SITE LINEAR B, KNOSSOS & MYCENAE HAS EVER PARTNERED WITH! We shall be reblogging a great many posts from KORYVANTES, and we are certain that they shall be doing the same with many of ours. My research colleague, Rita Roberts and I, shall soon be compiling the first major LEXICON of our all-new, extremely comprehensive English-Mycenaean Linear B & Arcado-Cypriot Linear C Greek Lexicon which is to be published in its entirety sometime in 2018. When it is published, it will be by far the largest and most comprehensive Linear B & Linear C Lexicon on Mycenaean Linear B and the first ever on Arcado-Cypriot Linear C ever published. 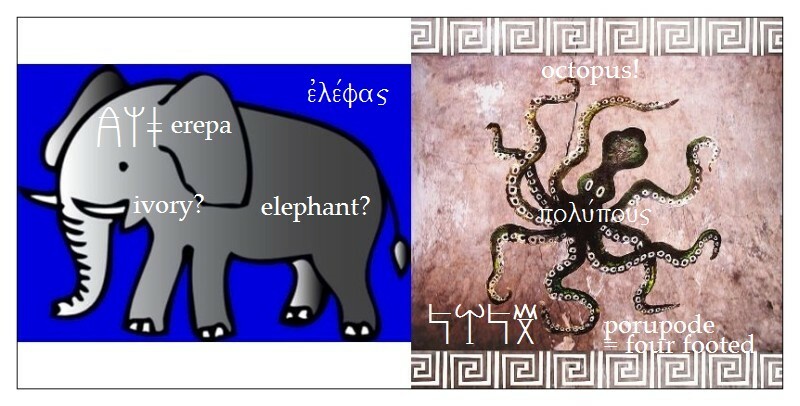 Published FREE in PDF format, it is bound to at least double the currently attested (A) Mycenaean vocabulary of some 2,500 words, logograms and ideograms to at least twice that many attested (A) and derived (D) lexical entries, to at least 5,000, if not 6,000 – 7,000 words. The Military section of this Lexicon is to be published first, meaning that KORYVANTES, The Association of Historical Studies, will benefit fully from the largest vocabulary of Mycenaean Linear B Military Terminology ever assembled online or in print. It will be published on its own sometime later this year as a prelude to our full lexicon, under the title, An English-Mycenaean Linear B/Mycenaean Linear B-English Lexicon of Military Terminology (PDF).